Cufflinks are coming back into style, at last! 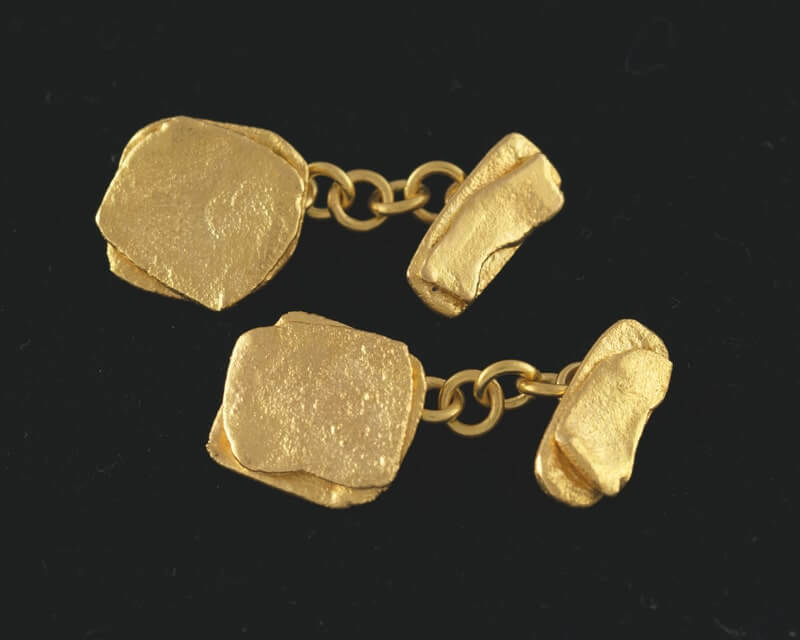 These double flakes of 22ct gold attached by a short handmade chain to a single flake, make these classic and wearable cufflinks. They make the perfect gift for the discerning gent in your life.